Better Investment Decisions Begin Here. Clear direction. Unbiased advice. Essential answers. 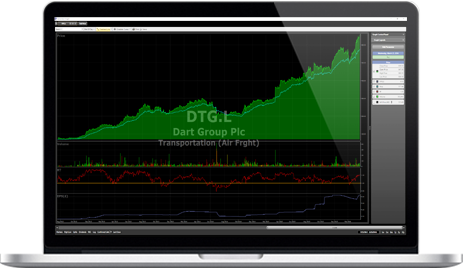 VectorVest 7 analyses, sorts, ranks and graphs over 20,000 stocks using up to 41 parameters. It provides Buy, Sell and Hold recommendations on every stock, every day. Most importantly it gives you market timing updates for precise trading entry and exit points. VectorVest 7 comes in three timing formats. Data provided at market close. Data provided at 15 minute delay. Data provided in real time, tick by tick. *Available for US and CA markets only. VectorVest stands apart in providing clear, unambiguous market timing signals. In graphs, weekly updates and advisories, VectorVest offers strategic trading entry and exit points for specific investment types and risk tolerances, so you can preserve capital before markets tumble, and take full advantage as they start to rebound. The VectorVest 7 Homepage keeps you up-to-date on rapidly changing market conditions and how they are impacting your stocks. Watch your portfolio, configure the timing tools, stocks, portfolios, charts and news you need where you need it. The VectorVest Viewers provide an analysis and ranking of over 20,000 Stocks, as well as hundreds of Industry Groups and Business Sectors. With a few clicks of your mouse, you can analyse, sort and rank stocks, industry groups, and business sectors on Value, Safety and Timing and many other critical parameters. VectorVest 7 provides powerful graphing features in a convenient, easy-to-use format. Graphs can be accessed from any section of the program and a convenient interface provides instant time frame selection. Add standard or custom fields with a mouse click. Test-Drive VectorVest Risk-Free. Thirty Days. £5.95. Thirty days. No commitment. No kidding. Spend thirty days discovering VectorVest’s unique simplicity, automation and independent guidance at your own pace. Explore deeply, or just learn how it could help you trade smarter in as little as 10 minutes a day. After trial pricing: £49/Month. Our proprietary, unbiased search engine just got even better. UniSearch enables you to screen and sort Stocks, Industry Groups and Business Sectors over minutes, days or weeks meeting a certain set of conditions. Create your own searches meeting your investment style or take advantage of over 250 pre-defined VectorVest searches with the simple click of a mouse. Track Multiple Portfolios created with built-in VectorVest strategies, created manually or based on your own custom strategies. Portfolio Manager provides the tools you need to analyse your portfolio’s performance. Set Portfolio Automation rules and custom Alerts for automatic transactions and to provide notification of your stop-losses. VectorVest Views is a daily online newsletter designed to keep you abreast of the market. Wake up each day to a commentary on the market, market direction indications and strategies to take best advantage of market conditions at the moment. Over 16 years of historical documentation of VectorVest’s market guidance is included.